Thank you for visiting DiscoverAtlantaChineseArt.com. I am committed to painting authentic Chinese brush painting using the highest quality paper, brushes, and colors imported from China. 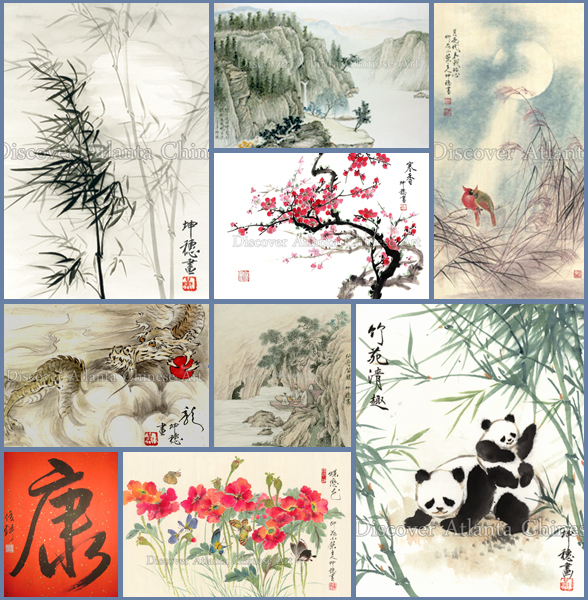 With over 25 years of experience and an art education under renown Professor Wu from Guangzhou, China, I am sure that you will enjoy our wide selection of artworks! DiscoverAtlantaChineseArt.com is now available on Facebook. Copyright 2010 © Discover Atlanta Chinese Art.